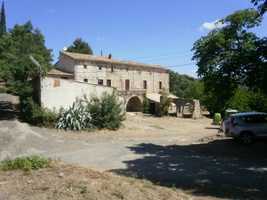 Gated domaine with 4 houses on 2.6 hectares with excellent revenue opportunity ! Are you a member of the oft maligned band of bankers with a bonus? 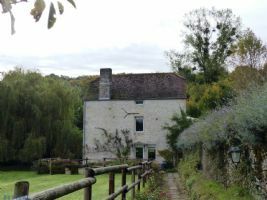 Rather than having it burn that proverbial hole in your pocket, why not consider investing in a stunning property just across the channel in La Belle France? France is a country that knows how to appreciate its celebrities (Celebrities Enjoying Their Year in Provence) and its well heeled residents, with anti paparazzi and personal privacy laws. In addition it has a high number of fantastic properties in dream locations. It's easy to get to as well (French Connections), being just a couple of hours flying time from London at worst. 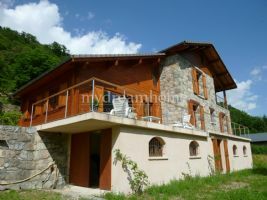 Detached stone villa with pool, set in private grounds. This property is in immaculate condition and finished to a high standard. Landscaped gardens with stone terrace and established trees and shurbs. A purpose built B.B.Q area with covered terrace. Heated swimming pool. House consisting large kitchen with eating area, Sitting room with dining area. utility room. Master bedroom with ensuite bathroom with its own sauna, 3 further bedrooms, and familiy bathroom with sep w/c.Luxury just for you. This is a magnificent 11th century windmill, beautifully restored, with a 1 hectare pond + millstream and waterfall, all on a fully fenced 16000m2 site on the outskirts of a picturesque village just 30 minutes north of Dijon and 30 minutes from the nearest TGV station. All rooms are spacious, and feature a dynamic mix of historic stone and wood elements with contemporary metal features. 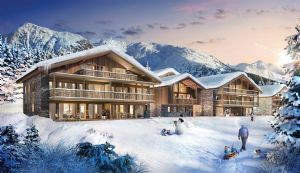 One of just 20 luxury new Ski-In properties in a fantastic location. Located in the Espace San Bernado , between the High Tarentaise in France and the Valle d’Aosta in Italy, La Rosière enables you to experience the very best of the two skiing cultures. A little gem hidden high, La Rosière, has a lovely traditional rustic Savoyard feel with low-rise accommodation. 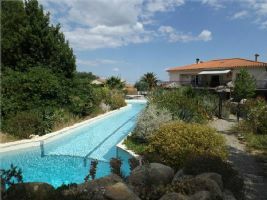 This exceptional villa offers flexible accommodation over 2 floors and provides good rental income. The main accommodation offers 4 bedrooms and two bathrooms, large open-plan living area and luxury kitchen, leading onto a large terrace overlooking the Mediterranean planted garden, 25m² pool and Jacuzzi area. The apartment has 2 bedrooms, a bathroom, sitting room, large kitchen plus office and several other basement rooms . Built in 2004, this elegant and well built villa is in an enviable position with all the advantages of a lively city, whilst retaining the tranquility and quiet of a neighbourhood of standing and the country around. The south facing house is filled with light through its many French doors, all which lead out onto terraces or the pool, including the upstairs bedrooms. There are mountain views of both Mount Canigou and the Alberes. This 5 bedroom detached property set in enclosed garden, is situated 300m from the beach and close to Dinard town centre. This spacious property was built about 20 years ago and comprises of entrance door into entrance hall, lounge, kitchen, bedroom, ground floor WC and shower room plus utility room. Access from the lounge onto patio area. Staircase from the hallway to the first floor, with landing, large lounge with balcony, fully fitted kitchen, 2 bedrooms, bathroom and WC. This project is located in the 14th Arrondissement close to the boarder of the 6th Arrondissement, a prime location of Paris. Consisting of 3 buildings housing 99 LUXURY APARTMENTS over 7 floors, with Concierge to make your life easier, top-quality services available on a daily basis, HOME AUTOMATION, and for your safety the entrance is restricted by an electronic key and videophone. 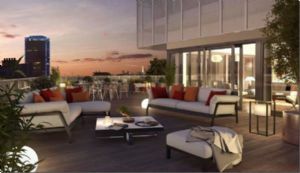 Top floor apartments will have views of the Eiffel Tower. 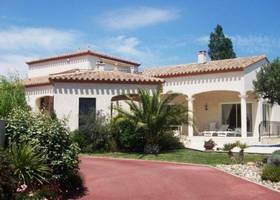 Luxury property for sale in Nice. 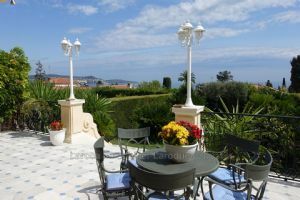 Luxury apartment for sale in Nice, with a 125 sqm (1350 sq ft) terrace, sea view and a 300 sqm (3230 sq ft) private garden ! Nice Fabron, unique! 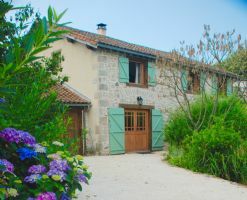 This exceptional property is ideally located, in a quiet area, close to all the shops and a short drive to all the fantastic places of the French Riviera. Can we tempt you to invest in a piece of France? 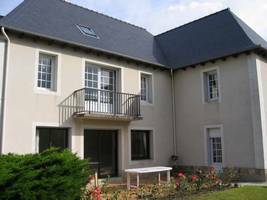 Hopefully you will have found something among the above to suit your requirements and to tempt you to invest in your own little, or large piece of France. With its huge diversity of attributes, from Med to Atlantic, from vineyards (French properties with vineyards) to meadows and castles to watermills (French Mills), France has to be the ideal location for the banker who has everything, and a bonus to spend.